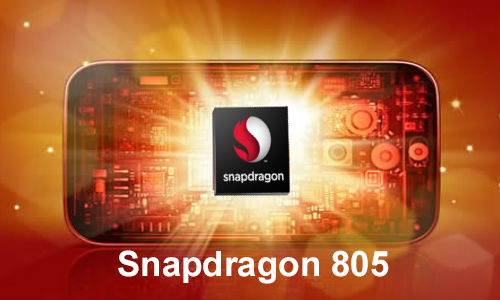 Smartphones are equipped with more and more cameras – originally starting with front- and back-facing cameras, the newest flagship phones now have multiple back-facing cameras to allow better zooming, creation of depth maps and more. 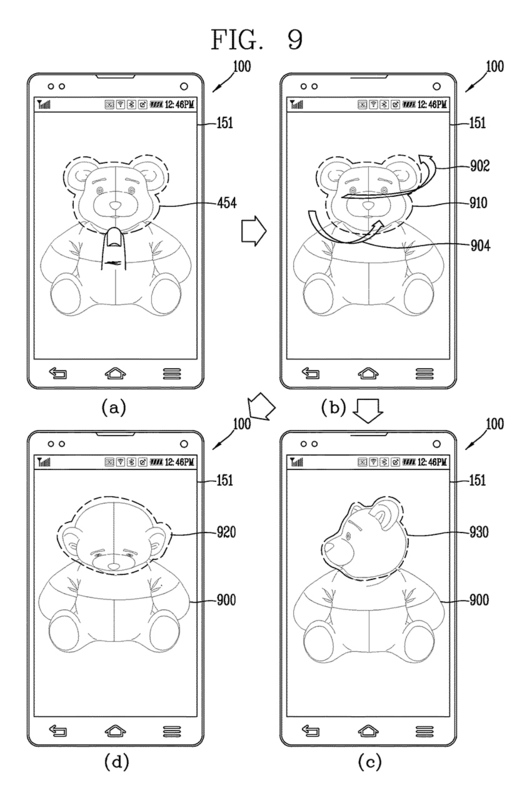 Now, electronics giant LG Electronics has been granted a patent for a smartphone design with 16 back-facing cameras. 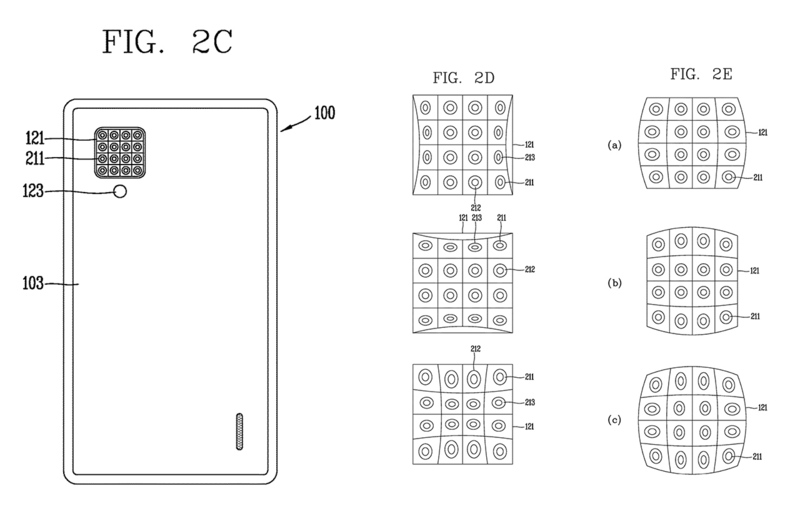 The array of camera modules is made up of 4×4 cameras, reminiscent of Pelican Imaging’s camera array prototype. 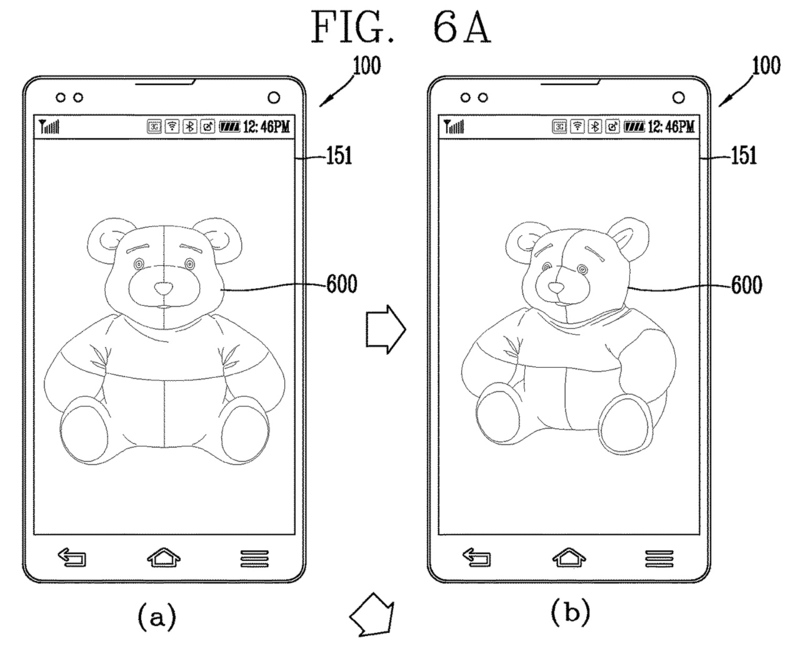 LG is thinking of placing these cameras at varying angles, to capture more information. 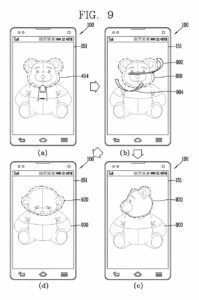 The patent application talks about offering several images recorded, so the user can select the best image, or choose to combine parts of several images into a final photo. However, further use cases described, such as creating synthetic images from the simultaneous recordings of several cameras, easy extraction/replacement of photo sections, or 3D-scanning objects, point towards advanced computational techniques including light field processing. 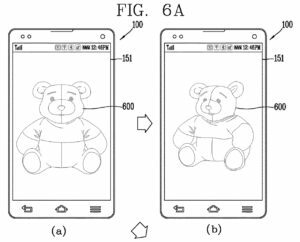 The patent application was filed in early 2014, so there’s a chance we could soon see an LG smartphone with light field capabilities. However, as with all patents, there’s a chance the invention may never become a reality.